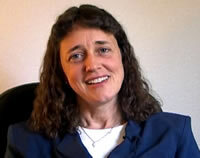 Jennifer Wiseman is an astronomer, author and speaker. Currently she’s the Senior Project Scientist on the Hubble Space Telescope, and she previously served as Chief of the Laboratory for Exoplanets and Stellar Astrophysics at NASA's Goddard Space Flight Center. Dr. Wiseman is a contributor to our 'God and the Big Bang' programme series.